Peer reviews can help one to decide on apps to use or purchase. Unfortunately, reviews on the Autodesk App Store can be hard to come by. Apps that have thousand of downloads can have just a few reviews. Furthermore, the App Store's sort-by-rating function doesn't take the number of reviews into account. Listed below for your convenience are the 5-star rated Revit add-ins on the App Store with at least four reviews, sorted by number of reviews, highest to lowest. Add-ins are also separated between free and paid. We'll refresh this list every six months or so. And remember, reviews are important. Please take a few minutes to share your own experiences with apps on the App Store by submitting reviews! Editor's Note: This add-in is not to be confused with IMAGINiT's add-in of the same name, which has been discontinued. The most affordable pipe extraction solution at only $49/month. 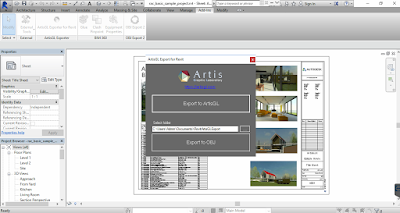 This plugin requires ArtisGL 3D Publisher to be present on the user's Windows 10 PC. The plugin allows the user to export Autodesk® Revit® scenes directly to ArtisGL. In addition, the user can export .OBJ file with materials. 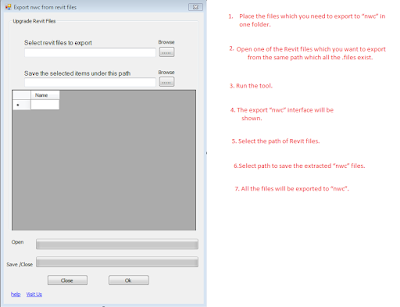 For older Windows versions (Windows 7, Window 8) the plugin can be used to export .OBJ files only. Create, render, share, print and publish 3D content over the world. ArtisGL is a powerful real-time rendering engine which produces various presentation-ready results. You can render in real-time, publish to WebGL, promote for free, animate, share, and print your 3D scenes and models. All content is Virtual Reality ready. This product supports the following output targets. The weeks of June 4 and June 11, 2018 combined to be very busy ones for Revit-related add-ins on the Autodesk App Store. Five new add-ins were published and another 26 were updated. 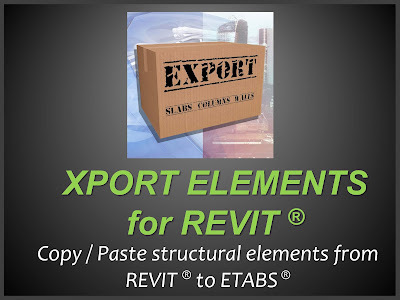 For new add-ins, for Revit, Batch Export NWC_v 2019 is for exporting multiple Revit models to Navisworks, Section View Aligner is for aligning new or existing section lines with elements, and Xport Elements to ETABS® is for copying and pasting elements from Revit to ETABS. For Navisworks, iFBIM CVP SYNC is for exporting and importing clashes and viewpoints data from iFieldSmart. For BIM 360, Buzzsaw Migration Service is for transferring data from Autodesk® Buzzsaw® into BIM 360® Docs, Box, OneDrive, SharePoint, and others. For updated add-ins, BIM Track™, Bonus Tools, CTC BIM Project Suite, Greenlee BendWorks®, and STRATUS each received relatively significant refreshes. 113 Dockable Element Dialog - Removed - Pending further development. 08 Ribbon Settings - Update - Supply Usage toggle to turn off/on. Each time a tool is activated, a record will be sent to Kiwi Codes. This allows us to focus development on those high use tools. 08 Ribbon Settings - Update - Supply Warnings toggle to turn off/on. Each time a warning is created, a record will be sent to Kiwi Codes. This allows us to focus on fixing and removing bugs. 35 View Filters - Reinstated. 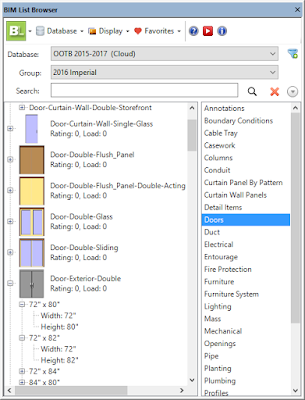 127 Style Output - New - Export Style information to Excel. 128 Filter Usage - Number changed. With last night’s release, we have introduced a major new feature to make BIM Track task management even easier for individual users: project dashboard. Project dashboard gives you a project-specific look at what affects your issues as an individual user. It will be the first thing you check when you log in, with an activity timeline that shows all activities that are relevant to you. It also includes metrics to quickly see how many of your issues are past due and much more. Check out our short video below, scroll down to learn more or visit your web platform, click “Dashboard” from your Project menu on the left-hand side, and start exploring. GTP Services is a software development company working to extend Autodesk products for the construction trade contractor. We build add-ins for Autodesk® AutoCAD® and Autodesk® Revit®, specializing in solutions for MEP and Fabrication. STRATUS is offered in the Autodesk App Store as a 30 day free trial. Please contact GTP Services for pricing and additional details. STRATUS is an extension for BIM 360 Team and Docs. It provides desktop add-ins for AutoCAD/CADmep and Revit, which leverage Fabrication content as well as normal Revit parts. It includes special features that work with Greenlee's BendWorks and Dewalt's HangerWorks. For fabrication, STRATUS integrates with TigerStop and PypeServer. 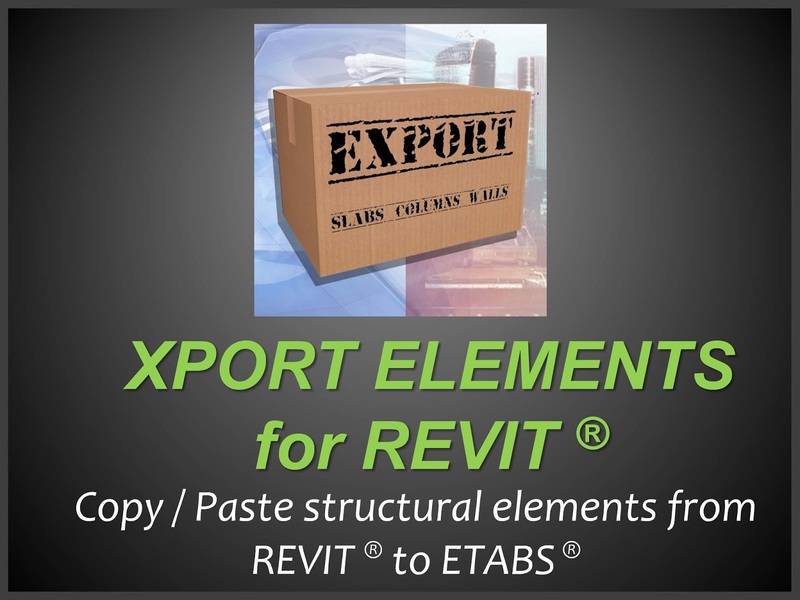 Xport Elements Autodesk® Revit® to ETABS® performs copy/paste operations of structural elements through two simple interfaces: one for Revit and one for ETABS®. 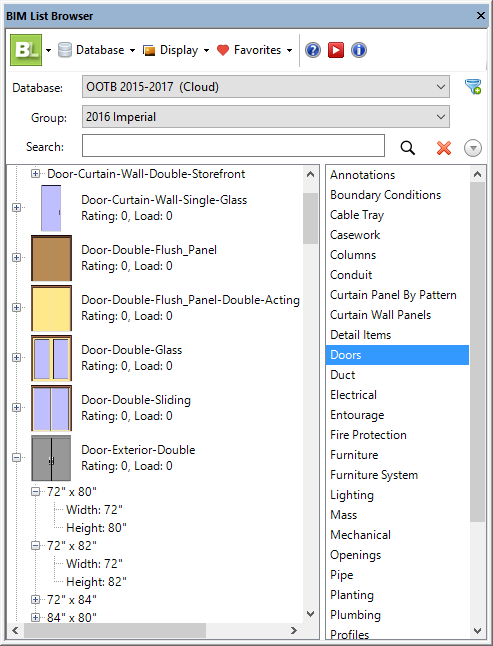 In the Revit interface, the user can select and copy walls, slabs, and columns, including columns of different sections rectangular, circular, slant or vertical. The ETABS® interface converts these elements into model objects and automatically assigns the respective section geometry. The process is fast, simple and straightforward, and gives the user control over the number of elements to be exported, which can be one single element or multiple elements. The tool is designed to export Autodesk® Revit® models to NWC. 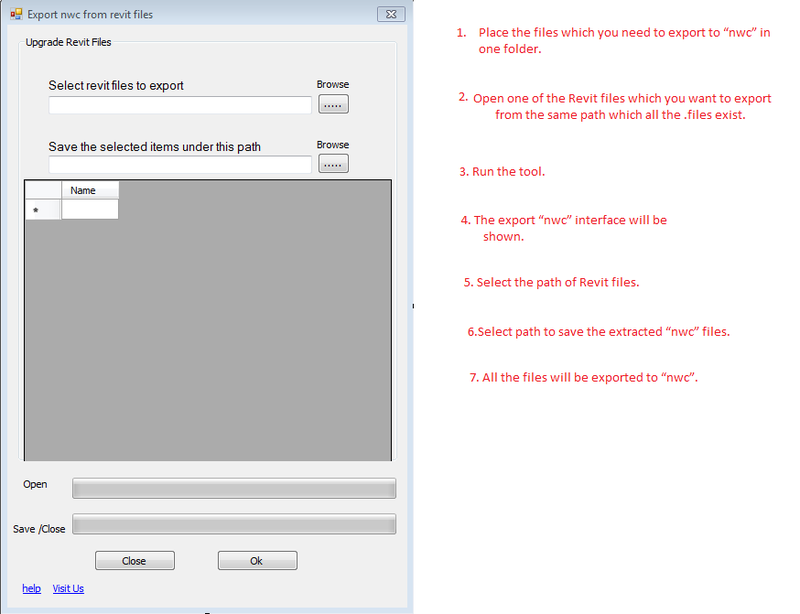 The application will open the Revit files and it will export it to NWC and close the files. The application will save a lot of time. Here on Revit Add-ons, with What's Hot, at about the middle of each month, we take a look back at the preceding month to see which new posts received the most pageviews. We published 41 posts in May 2018, and received 59,377 pageviews. Uncharacteristically, two of our regular weekly articles made the cut this month, the May 1st edition of New and Updated Add-ins on the Autodesk App Store at #1 and the May 2nd edition of The Week that was in Revit Add-ons at #5. This latter article was the last of the series that we've published so far as your faithful editor has been struggling with some health issues of late. Hopefully we'll get back on track soon. Our post about the Revit 2019 releases of the Omnia Revit Scope Box add-ins charted at #2. At #3 was our Product Roundup of free add-ins from CADD Microsystems. This was the first product roundup that we'd done in quite some time. We'll try to get more in the pipeline soon. Our posts about Renumber Elements, Revizto v4.7, and SPIT i-BIM rounded out the month at #4, 6, and 7 respectively. Pointfuse bridges the gap between reality capture and digital construction. 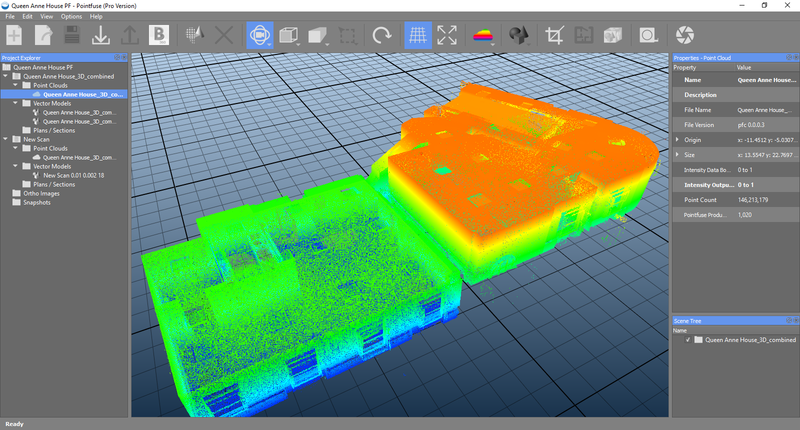 It automatically converts point cloud data from laser scanners or photogrammetry into intelligent as-built mesh models that can be classified and used throughout the Autodesk® BIM 360® environment. Pointfuse is unique in automatically segmenting the mesh into discrete, selectable surfaces, by identifying objects based on their geometry and assigning unique identifiers to them. Removing the human aspect of the modelling process eliminates a significant bottleneck, while also removing any chance of subjectivity, producing consistent results. This makes Pointfuse models repeatable and directly comparable - ideal characteristics for accurate project validation. These models, which are highly optimised, reduce the size of working data by a factor of up to 100. 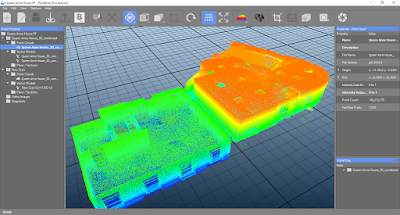 The models are then significantly easier to use and share compared with the original point cloud. When you are working on a project, you always use view filter to make the drawing look good. Copy filter from one or more views, template, view filters to another view. Copy filter without overrides or both. Can copy one or more filters from another project to your current project and vice versa, whether you want to include the override or not. If the project is copied but you don't have a pattern the same as the source project, the add-in will automatically make a new pattern for you. 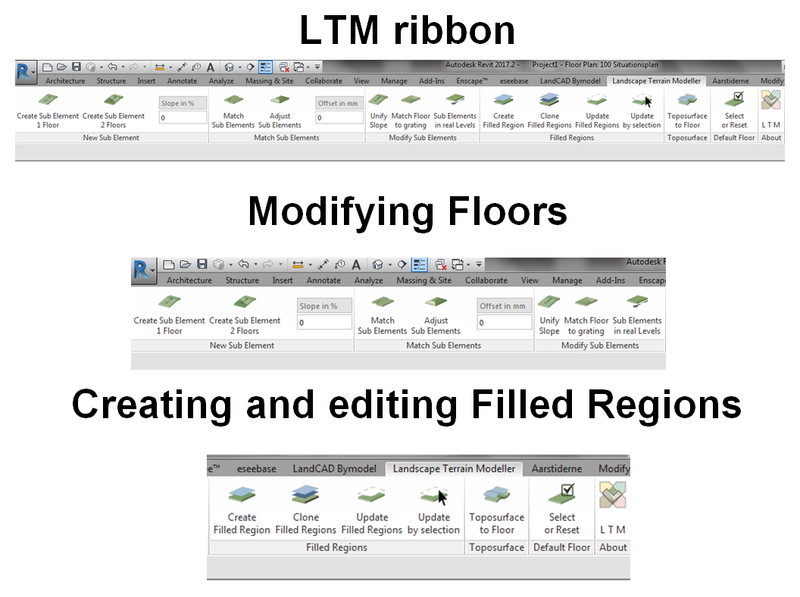 The Landscape Terrain Modeller (LTM®) plug-in for Autodesk® Revit® makes it easy for landscape architects to work in Revit. The LTM® plug-in include 8 powerful tools that enable you to quickly and easily modify Floors in Revit by defining a slope. Just type in the slope pointing out the starting point and the elevation at the end point is automatically calculated, and the floor will be modified. 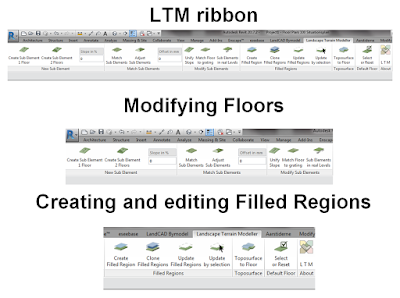 Furthermore, the LTM® also include 4 functions to create Filled Regions attached to floors to visually improve your plan drawings for presentations. Filled regions created with the LTM plug-in are connected to the floor with the same shape as the floor and can be automatically updated if the shape of the floor is changed. The week of May 28, 2018 was a fairly busy one for Revit-related add-ins on the Autodesk App Store. One new add-in was published, and another fourteen were updated. The new add-in, the free Placing Light, for Revit, is for inserting hosted light families on false ceilings or Reference Planes. For updates, the free and popular Align, also for Revit, received a relatively significant refresh. About This Version: Version 22.0.226, 6/1/2018 – Version 2018 with support for Revit 2017, 2018, and 2019.